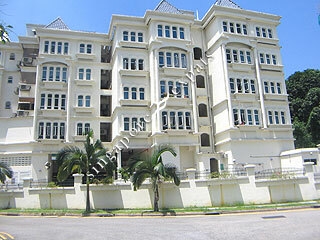 Chateau Le Fame is a small development project located at Ewe Boon Road, off Bukit Timah Road. There are only 39 exclusive units. Most of the units have split levels that separate the living and dining halls, and has no maid’s/ storerooms. It is a short walk of about 12 minutes to the Newton MRT Station. A real treasure, both for families or for working professionals who prefer smaller properties to big condos.